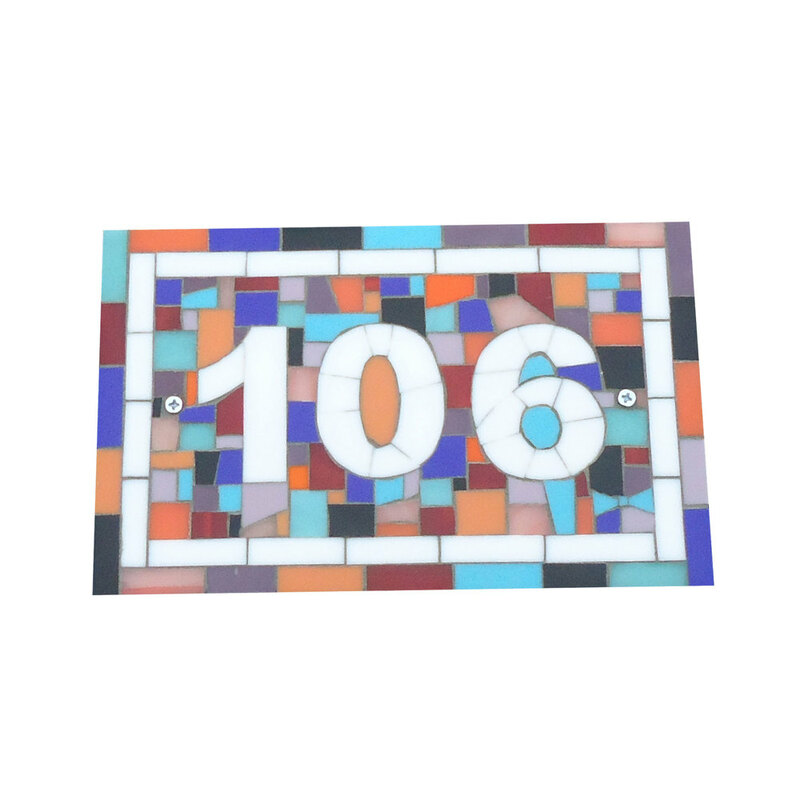 Add some curb appeal to your home with a custom mosaic address sign from Live In Mosaics. 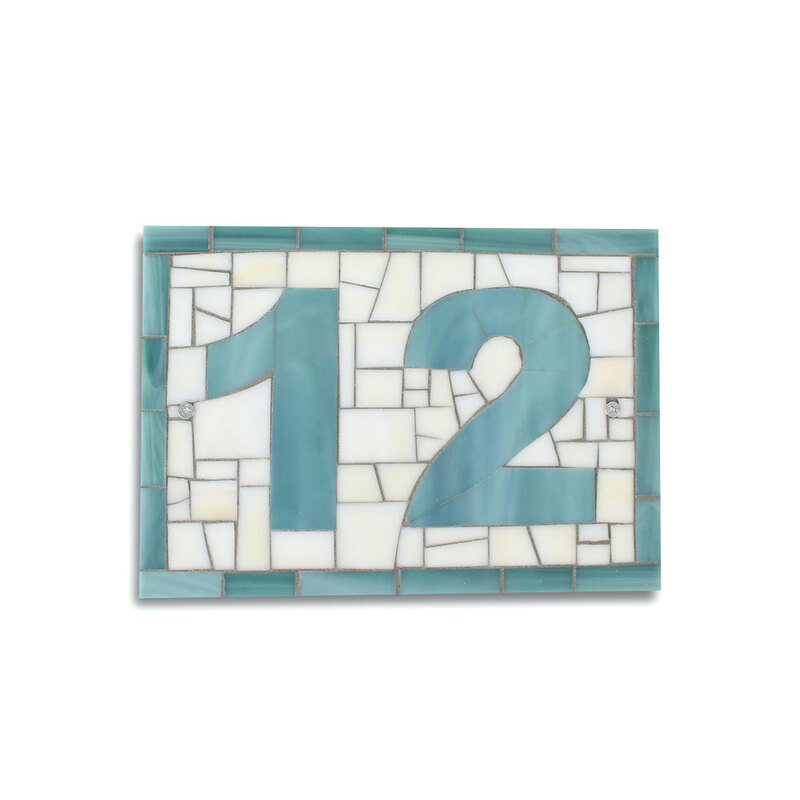 Mosaic numbers are perfect for the home owner who wants to make their home special and express their unique style (also great for apartments). Each house number is created with special consideration for your house style and color. I begin the process by working with the customer to determine the style, size, and colors of the house number. Colors are then hand selected and a sketch of the piece is created for your approval. Before the tiles are applied, I create the base using either tile or hand cut cement backer board - both are perfect for outdoor use because they are weather and water proof. The next step of the process is to create the custom pattern. Each tile is hand cut and individually placed to make a unique, personalized, one of a kind mosaic. After all of the tiles are laid on, the piece is grouted to hold everything in place, which will keep your mosaic in great condition for years to come. Every mosaic number comes ready to hang. Depending on the material used, the numbers are either hung with a sawtooth hanger that comes securely attached to the back or with two holes and accompanying screws for easy hanging.